We are glad to announce the 29th HUPO Brain Proteome Project (HBPP) Workshop will be held on 27th and 28th of May 2019 in Amsterdam, The Netherlands. 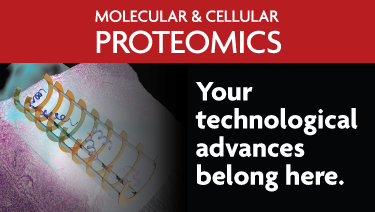 HBPP Spring Workshops cover a wide range of topics relevant to neuroproteomics research. The program is highly dynamic and interactive, and all participants are given the opportunity to give an oral presentation on their research or updates of novel techniques and analytical approaches used in their labs. Workshops have included, for example, sessions on myelin proteomics, autoimmunity, and bioinformatics. HBPP is committed to a strong clinical and translational focus. Hence, sessions in last meetings were dedicated to proteomics of psychiatric disorders, movement disorders, spinal cord injury & trauma, dementia, and cancers of the CNS. On top of that, there will be a very nice evening program that will allow all the delegates to have relax interactions with a unique local atmosphere.We encourage every researcher interested in brain proteomics, including junior scientists to get in contact and join this event. For more information about the workshop and abstract submission please visit https://www.hbpp2019.com/. We would like to ask you to extent and share this information between all the researchers and/or in your mailing list. It would be also very helpful if you could include our flyer in your main webpage, which is attached within this email. 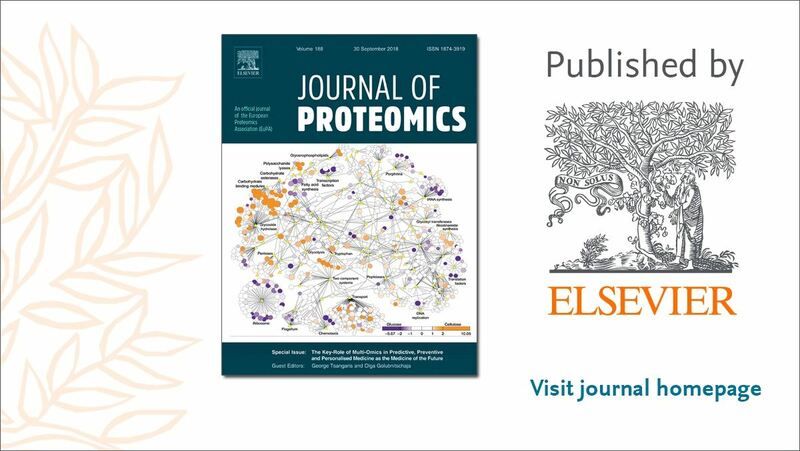 The Journal of Proteome Research Special Issue 2018 (Associate Editor: Christopher M. Overall, Guest Editors: Paik, YK, Eric Deutsch, Fernando Corrales, Lydie Lane and Gil Omenn) was published on December 7, 2018 (Volume 17, Issue 12). 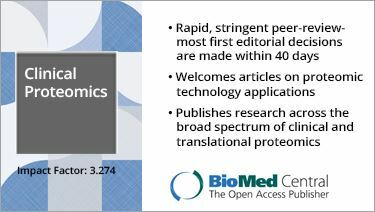 In this issue, a total of 32 papers covered 4 major research topics: (i) missing proteins (MPs), (ii) uPE1 proteins, (iii) bioinformatics tool development and (iv) biology/disease proteomes. According to the article summarising the progress on identification status and metrics of the Human Proteome Project, the number of missing proteins (PE1+2+3+4) decreased from 2579 to 2186 and the number of proteins with sufficient evidence at proteome level (PE1) reached 17470, which represents 89% of the human proteome, while the number of dubious proteins is 574. From the 17470 PE1 proteins there are mass spectrometry evidence in the Peptide Atlas for 15798 proteins. The launch of the neXt-CP50 pilot project to find at least one function of well identified 1260 PE1 proteins with unknown function (uPE1 proteins) using state-of-the-art gene editing technologies such as CRISPCas or gene silence with miRNA is discussed in Young-Ki Paik et al. 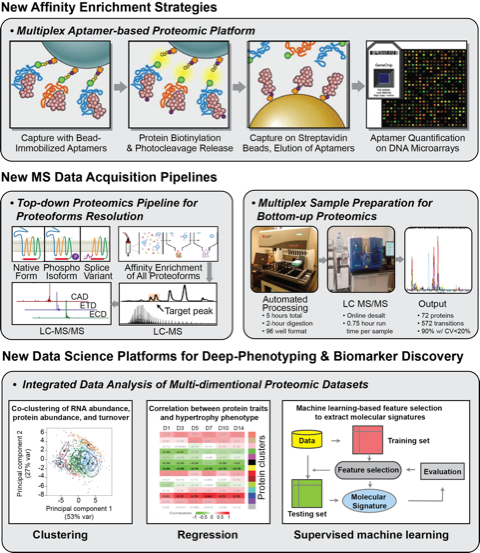 Deutsch et al discusses all aspects of the use of spectral libraries and spectral library search in proteomics workflows including quality at library, spectra and peak (fragment ion) levels the used spectral similarity methods, construction of consensus spectra and merging different spectral library following the discussion at the 2017 Dagstuhl Seminar on Computational Proteomics. The work of Macron et al. describe identification of missing proteins in human cerebrospinal fluid following immunodepletion and TMT labeling. This work identified 12 missing proteins candidates from which 8 proteins were identified based on 2 to 6 uniquely mapping peptides and 4 matched a new peptide with a complementary “stranded” single peptide in PeptideAtlas from previous CSF studies. Sun et al. presents a study on human testis, using multiple proteases and high and low pH deep proteomics analysis and identified 14 PE2 MPs after spectrum quality analysis, isobaric post-translational modification, and single amino acid variant filtering, and synthesized peptide matching, from which 3 was testis specific. The study by He et al. used LysargiNase, the trypsin “mirror protease” that cuts before lysine and arginine equally as efficiently as trypsin that cuts after the basic residues, to identify low molecular weight missing proteins and validated 2 MPs from 7MPs candidates. Pullman et al. presented the tool ProteinExplorer, which allows to explore the large amount of reanalysed public proteomics data available in MASSIVE, which allowed to build a spectral library containing 2.1 million precursors matching to 1 million unique peptides and 19000 proteins. The use of ProteinExplorer allowed to validate HPP-compliant evidence for 107 MPs (PE2, PE3, and PE4) and 23 dubious (PE5) proteins. With a good attendance at the Thursday HPP workshop, talks on the Knowledge Base Pillar progress and outlook were well presented by Eric Deutsch, Lydie Lane and Henning Hermjakob. They highlighted the raw MS data exchange between ProteomeXchange and partners such as Pride, iProx, JPOST, MassIVE and Panorama, which serves to collect all public proteomics data generated by the scientific community, protein evidence status in PeptideAtlas and neXtProt according to the latest release. The report also gave updates on the peptide uniqueness checker and introduction of Universal Peptide Identifier that aims to identify specific MS/MS spectra in a ProteomeXchange dataset. Measurement of intact proteoforms with top-down approach to map the proteome of human cell types (a Cell-Based Human Proteome Project) was presented by Neil Kelleher. In discussions with the Chairs of the C-HPP a collaboration has been formalised to prepare a proposal for the C-HPP and HPP ECs titled “The Human Cell Proteome Atlas”. This is an extension of the current rare cells and tissues project of the C-HPP led by Chris Overall. In the HCPA the current bottom up rare cells and tissues proteomics projects of the C-HPP would be complemented by the a top-down proteomics approach led by Neil to produce an atlas of proteins and proteoforms making up each of the hundreds of different cells of the human being. On emerging technology topics, Bonghee Lee (Korea) presented CRISP/cas9 technology used to modify human iPSC and differentiated cells for Hemophilia B treatment . Janne Lethiö (Sweden) presented proteogenomics pipeline that can be used to process high-resolution iso-electric focusing fractioned peptides to better annotate protein coding region of the human genome and identify variants in human blood. Mike Snyder presented ‘Grand Challenges for the Entire Field of Proteomics’ where he addressed an outlook and plans on the directions of the proteomics technology development and those key issues that the HPP will address in the future. Henry Rodrigez showed an overview on the international collaboration within Cancer Human Proteome Project and within the Cancer Moonshot international collaboration. Mark Baker, incoming HPP Chair (Australia) outlined his strategic plans on the key HPP components, C-HPP and B/D-HPP in the next 2 years. The Antibody Validation Initiative showed their progress to develop validated antibody reagents for the scientific community. The September/October neXt-MP50 report from the Chromosome Teams was presented to the HUPO council. 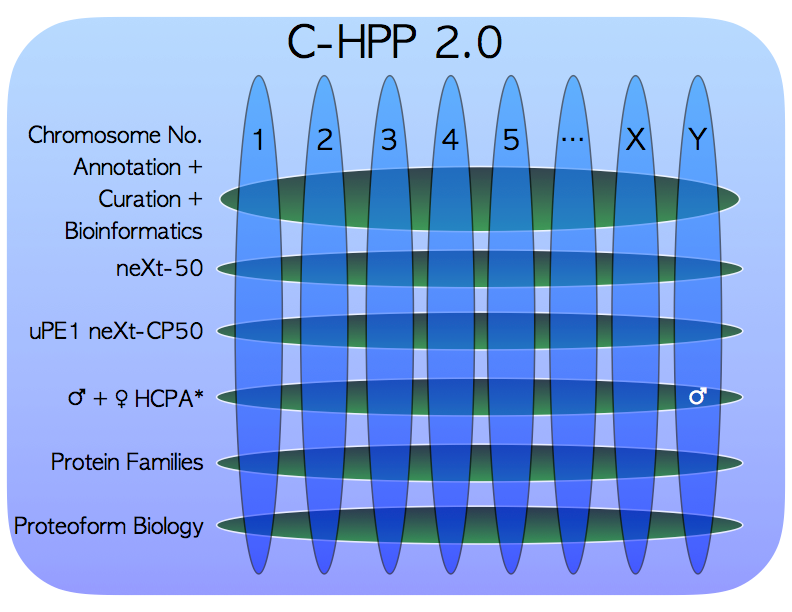 The chromosome teams reported the identification of ~401 missing proteins identified according to the C-HPP guidelines in 2018. These were presented in 26 J Proteome Res Special Issue papers in December 2017 and will be reported in 34 J Proteome Res papers in the upcoming December 2018 Special Issue. In addition, the Chromosome Teams reported HPP findings in 63 other papers in 2018, many of which reported missing proteins or uPE1 functionalization. At the end of the first quarter 2019 the next builds of the Peptide Atlas and NeXtProt will have parsed through these and other Proteome Exchange data sets for confirmation of found MPs. The C-HPP welcomes the leadership of Dr. Rob Moritz, Institute of Systems Biology, Seattle, WA as the new leader of the Chromosome 6 Team, that has passed from Christoph Borchers, University of Victoria. The experimentalists, coders and data-base curators at ISB are a welcome addition to the C-HPP and join active labs at the University of British Columba, Vancouver, in a “Cascadia Chromosome Collaboration”. 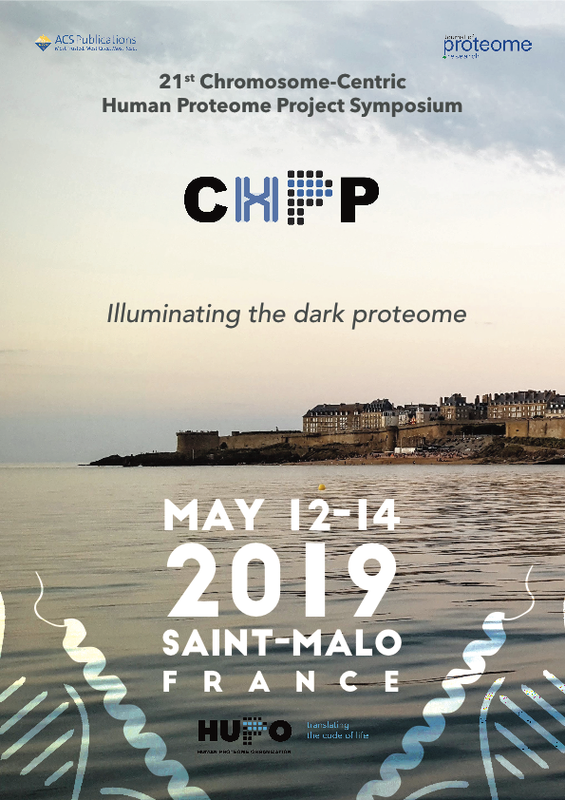 Plans are moving forward for the 21st C-HPP Project Symposium, to be held May 12-14, 2019 in Saint Malo, France. Focussing on “Illuminating the Dark Proteome” the symposium will be an important milestone for the uPE1 project and will include speakers from the B/D-HPP on functionalizing the dark proteome. What is also certain, the cuisine at this meeting will not be dark or need illumination thanks to Charles Pineau, Chair of the workshop. The C-HPP has major scientific activities planned for the HUPO 2018 congress in Orlando (Florida, USA) between September 30 - October 3, 2018 as well with pre- and post-congress days organized on Sunday September 30 and Thursday, October 4. 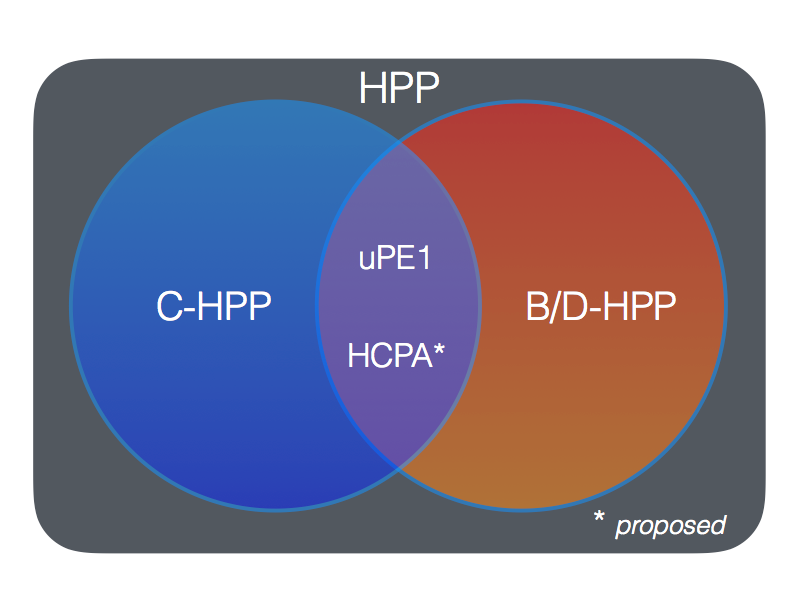 On pre-congress day, the C-HPP will participate in the HPP Investigators Program, with C-HPP activity overviews and reporting, discussion of C-HPP 2.0 plans and goals, discussion of collaboration with B/D-HPP and resource pillars, presentation of the current status of public proteomics databases and exploration of the “Dark Proteome”. During the congress, C-HPP will be actively involved in Bioinformatics Hub and we encourage members to attend the Morning parallel sessions (10:30-12:20) as follows “Partnering with Pathology Towards Precision Medicine” (Monday), “Metabolic Remodelling and Human Disease” (Tuesday), Human Chemosensation: Olfaction, Taste and Sight (Wednesday), and Afternoon parallel sessions (14:00-15:50): “Targeting the Proteome in Women's Health” (Monday), “Harnessing the Immune System to Fight Disease” (Tuesday), “Unravelling Tissue Pathology Through Cell Mapping” (Wednesday). The Thursday HPP Day Post-Congress Program will consist of discussion of current (C-)HPP status and future goals such as new strategies to identify the difficult 10% remaining of the human proteome missing proteins, dynamic of protein interactions, identification and functional annotations of PTMs, translational Clinical Proteomics and use of emerging technologies such as CRISPR/Cas9 and proteogenomics data integration. The congress program is available on the congress website here, as well as on the C-HPP Wiki here.